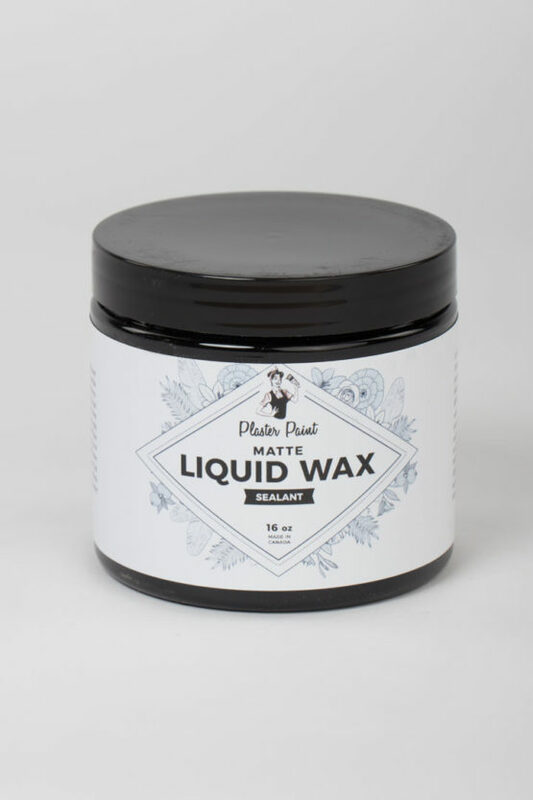 Great for use indoors or outdoors – You can choose from Super Gloss or Matte finish – No buffing required – Used for all furniture pieces & recommended for all metal, plastics, glass, appliances, countertops & most non-porous surfaces. Best applied using our signature bristle brushes, restore® synthetic or a soft non-shedding cloth of similar color of your paint color. We offer two types of Liquid Wax. The Liquid Wax Matte will give you a beautiful satin, vintage look and is perfect for any project but especially great on darker colors. The Liquid Gloss semi gloss leaves a high sheen bringing out the vibrancy to your colors. 2. Make sure piece is dust and lint free. 3. Just open jar and begin application. 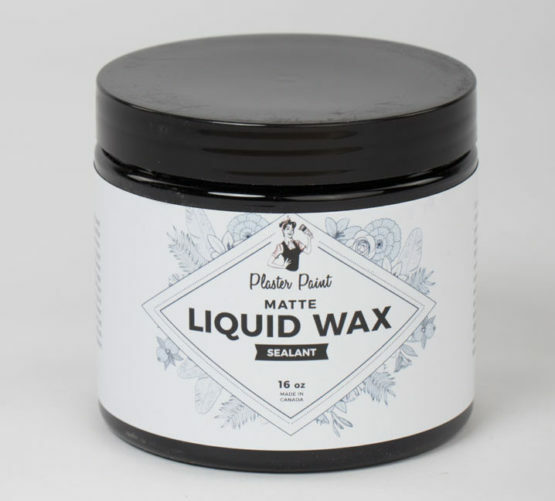 Fully saturate your brush with liquid wax. 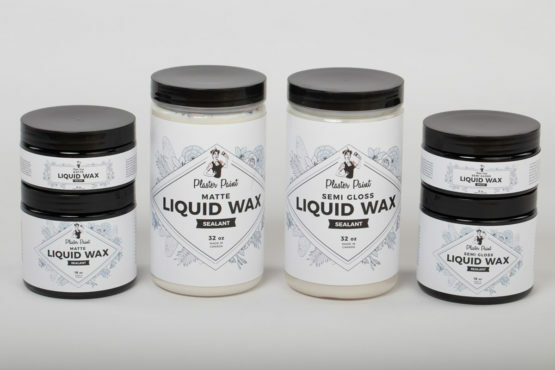 Not using enough wax on your brush can cause the finish to dry splotchy and show brush strokes. That being said make sure your wax isn’t pooling in cracks or dripping, this will cause the wax to dry white. 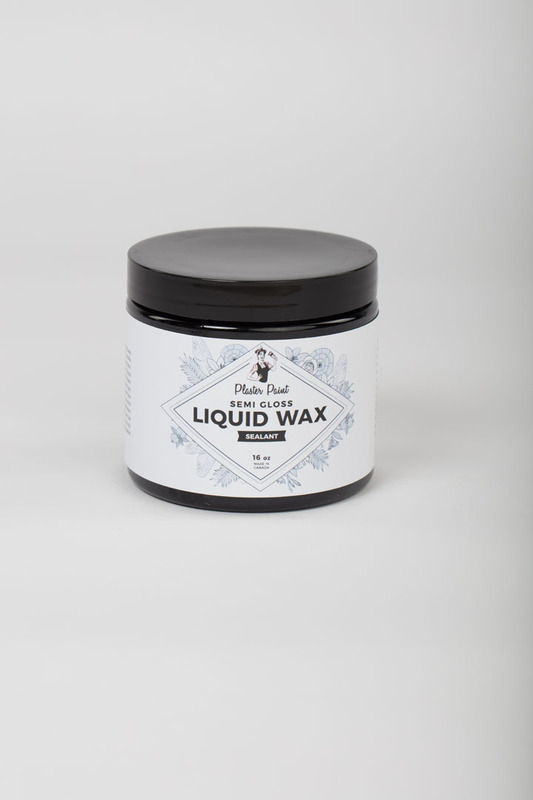 Wax will dry in about 30-35 mins depending on humidity and temperature. Painting and waxing are best done at room temperature or above. Let dry for 35-40 mins for a touchable dry, 24 hours for a full cure. Apply using a natural bristle brush or our new Restore brush. A cure time of seven days is highly recommended for items such as counter tops or slick surfaces.